This year for our Thanksgiving themed activities, I have been prepping a lot already. With a baby due only a few weeks before Thanksgiving, I really want to make sure I get all of our printables and activities prepped and ready to go ahead of time. This year, I want to make sure we try some fun, creative ideas, while simultaneously providing Y with educational activities. He’s been so curious about anything and everything lately. Inspired by my son’s interest and Thanksgiving, I created this set of Turkey Life Cycle printables! Goal: Teach students about the life cycle of a turkey, learn about turkey anatomy, and introduce new vocabulary. This set of printables can be used as a zoology material, a language and vocabulary building work, or simply a fun addition to Thanksgiving and holiday-themed units. 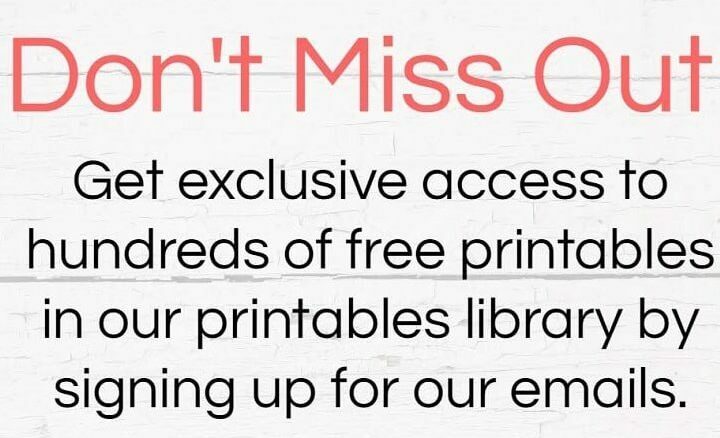 The printables set includes cards that can be used in multiple ways. First, they can be used to sequence the life cycle of a turkey. They can also be used as matching cards (2 part cards) or as 3 part cards for children that can read. To do this, print two copies of these cards and cut the labels off of one set of the cards. Y was also very interested in this spinner. We used it to talk about the different stages of a turkey’s life cycle and reviewed new vocabulary. I have to admit that I am very happy with how these cards turned out! I love that they can give kids an inside view of what happens inside of an egg! This set also includes 4 sets of anatomy cards. 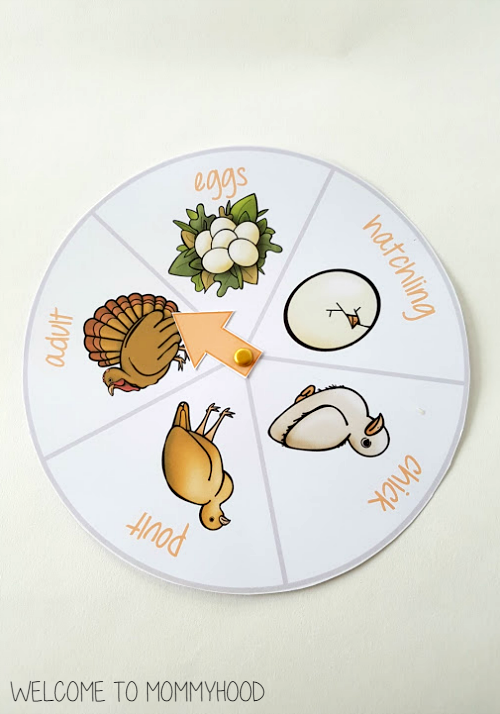 These are larger cards that are about half a sheet of paper in size to give children a look at the various stages of turkey and egg development. The four cards are available as labeled and blank. The blank cards can be used for children to fill in the parts of the egg and turkey.